Those are just few examples of the many photos and other objects PICUM members brought to PICUM’s Annual Workshop held on 12 June 2015 in Brussels to illustrate the criminalisation of undocumented migrants in their countries. Photo: Some of the photos and documents PICUM members showed. To view more photos of the Annual Conference and General Assembly, click here. To view videos of the debate, click here. These realities, which reflect the impact of many migration policies nowadays in Europe, were the reason why PICUM dedicated this year’s Annual Workshop to the theme “Ending the Criminalisation of Migrants“. The Annual Workshop, followed by PICUM’s Annual General Assembly on 13 June, gathered nearly 90 representatives of PICUM’s member organisations in Brussels. 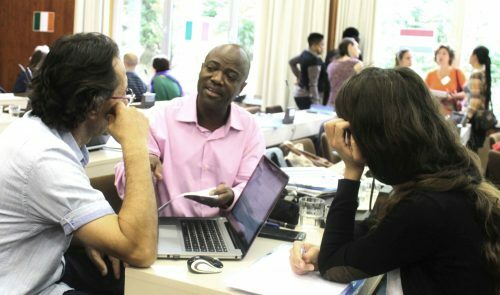 To better understand the challenges undocumented migrants and their supporters face, PICUM members met in small groups to discuss key challenges as well as opportunities for addressing criminalisation in their countries. Discriminating and xenophobic discourse about migrants, detention and deportation as migration management tools and laws which oblige service providers to verify residence status or share undocumented migrants’ data, were mentioned across PICUM’s membership as key challenges to undocumented migrants’ rights. The mapping also showed that criminalising practices and policies – those which treat undocumented migrants as a potential security threat and irregular migration as a crime – clearly outweighed policies and practices ensuring undocumented migrants’ rights. In many countries, PICUM members see opportunities for ensuring undocumented migrants’ rights mainly in campaigns and actions carried out by civil society. The results of the mapping indicate that civil society organisations are still playing the vital role of fulfilling rights – ensuring that undocumented migrants can access health care, justice, housing and shelter without fear, and challenge unlawful detention conditions and discrimination – as states frequently shirk, or indeed violate, their responsibilities. Photo: PICUM members shared their experience of areas in their daily work where a ‘firewall’ is needed. To ensure that undocumented migrants can access services, other than those provided by civil society organisations, a ‘firewall’ needs to be established. The ‘firewall’ is a clear separation in law and practice between migration law enforcement authorities and the powers and remit of those working in social services or justice. This means, for instance, that undocumented migrants can go to see a doctor, access shelters, report exploitation to labour inspectors or report crimes and abuse to the police without fearing that these service providers will then notify authorities about their irregular status. This requires a prohibition on sharing personal data and non-discriminatory access to services, protection and justice on the basis of residence status. PICUM members are already advocating for the ‘firewall’ principle to be put into practice in their countries in various key areas. In Ireland, for instance, the Migrant Rights Centre Ireland (MRCI) has been working with the Labour Department to raise awareness that joint labour inspections with immigration officials prevent undocumented workers from reporting violations of employment rights and are not a solution to counteract irregular employment. In Germany, there is a structural link between health service provision and immigration enforcement because social welfare offices must report undocumented patients to the immigration authorities when reimbursing any non-emergency treatment. The network of Medibüros and other organisations provide health care to undocumented migrants by linking them with doctors who work voluntarily, and supporting them with financing where possible from their budgets. Some of the networks have advocated for anonymized health cards for undocumented patients so they are able to access basic health services without fear of denunciation. In the Netherlands, police officers are not required to apprehend undocumented migrants when they learn of their irregular status. The police in Amsterdam has opted to use this discretion as the basis for ensuring undocumented residents are able to report crime to the police, as victims or witnesses, without fear of apprehension. They have implemented this through outreach among migrant communities, informing them of their rights to report crimes safely, and for example, providing personal phone numbers and listing visiting hours for migrants. In France, legally there is no such thing as an ‘undocumented child’, as children are not required to have residence permits. All children, until the age of 18, have equal rights in law. However, the legislation is applied in a regressive way. Successive governments have been trying to ensure that not all rights are given to children of undocumented parents. There have been cases of children being apprehended at school and of families that were deported. 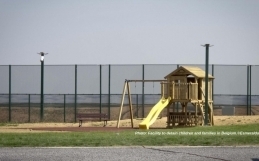 The network Réseau Education Sans Frontières has helped to gain public support against such practices and deportations of families have become much rarer. Photo: The two-day event allowed members to exchange good practices and get to know each other. 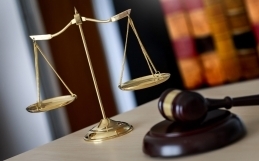 ccurate language leads society to accept that people should be prosecuted and punished. The Annual Conference and Annual General Assembly saw the first anniversary of PICUM’s ‘Words Matter’ campaign which promotes accurate, humane terminology and strictly avoids referring to migrants or migration as ‘illegal’. On the occasion of the General Assembly, the leaflet was launched in French, German and Spanish. A survey among PICUM members showed that nearly all respondents use the equivalent of the term ‘undocumented migrant’ or ‘irregular migrant’ in their language and almost all consider advocacy around accurate terminology important. Half of the respondents have seen positive results of their terminology-related activities so far. PICUM will continue to develop clear messages which its members and other supporters can use to challenge discriminatory language in everyday discourse and to further spread the campaign. 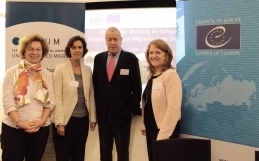 Concluding the event, PICUM and its members agreed to continue to advocate the implementation of a ‘firewall’ across all areas of its work, as a clear and cross-cutting principle to ensure migrants’ rights in law and practice.